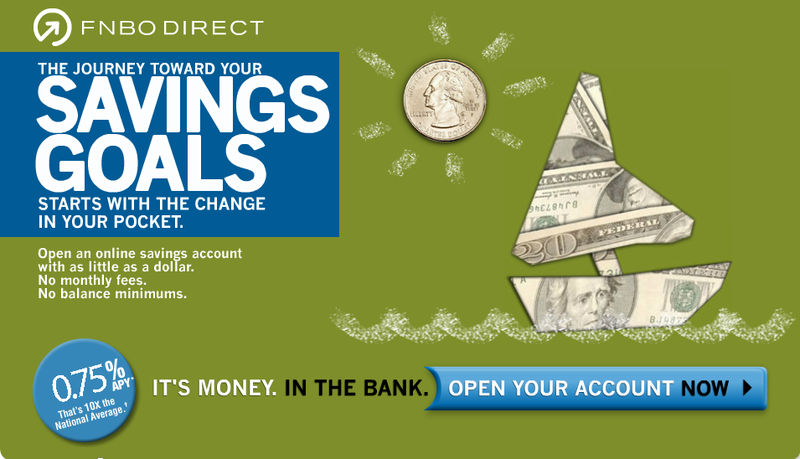 *FNBO Direct Online Savings Account Annual Percentage Yield is accurate as of and is subject to change after that date. Rates may also change after the account is opened. Fees may reduce earnings. Minimum deposit to open an account is $1.00. Maximum principal deposit balance: $1,000,000. See the Disclosures for additional information and limitations. †The national APY for traditional savings is based on Statement National Average published in the 2017 passbook/statement savings study located on bankrate.com at http://www.bankrate.com/brm/publ/passbk.asp?caret=2. Copyright © FNBO Direct, a division of First National Bank of Omaha. All Rights Reserved. Deposit Accounts offered by First National Bank of Omaha, Member FDIC. Deposits are insured to the maximum permitted by law. P.O. Box 3707, Omaha, NE 68103-0707.